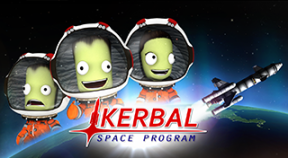 Unlocked all Kerbal Space Program trophies. Congratulations! You've completed your first contract. Now it's up to you to keep this facility growing! You've recovered your first crew member from the perils of space! You've completed your first EVA in space. Now you've joined the leagues of those who repaired Skylab in 1973. You've completed your first EVA on the Mun. You've completed your first Launch Pad launch. You took your first rover out for a spin! You've completed your first runway launch! You've launched your first satellite into space! You've completed a flyby of Eeloo. You've completed a fly by of the Mun! You've completed your first landing at the Kerbal Space Center! You've completed your first landing on Moho! You've planted your first flag on the Mun! You've been to space and landed safely back home! Yeah! We just did a flyby of Bop! Congratulations! You completed your first flyby of Dres. You just completed a flyby of Duna! You've just completed your first flyby of Eve! Congratulations! You completed your first flyby of Gilly. Congratulations! You completed your first flyby of Ike. Congratulations! You completed your first flyby of Jool! Congratulations! You completed your first flyby of Kerbin. Congratulations! You completed your first flyby of Laythe! Congratulations! You completed your first flyby of Minmus. Congratulations! You completed your first flyby of Moho. Congratulations! You completed your first flyby of Pol. Tylo, Tylo, It's Off to Space We Go! Congratulations! You completed your first flyby of Tylo. Congratulations! You completed your first flyby of Vall. Congratulations! You completed your first mission to Bop. You've completed your first mission to Dres. You've completed your first mission to Duna. Congratulations! You completed your first mission to Eeloo. Congratulations! You completed your first mission to Eve. Congratulations! You completed your first mission to Gilly. Congratulations! You completed your first mission to Ike. Congratulations! You completed your first mission to Jool. Congratulations! You completed your first mission to Laythe. Congratulations! You completed your first mission to Minmus. Congratulations! You completed your first mission to Moho. Congratulations! You completed your first mission to the Mun. Congratulations! You completed your first mission to Pol. Congratulations! You completed your first mission to Tylo. Congratulations! You completed your first mission to Vall.